Inclusions: Highly qualified and knowledgeable guide, travel in luxury air-conditioned vehicles, lunch, city hotel pick up and drop off, comprehensive commentary. 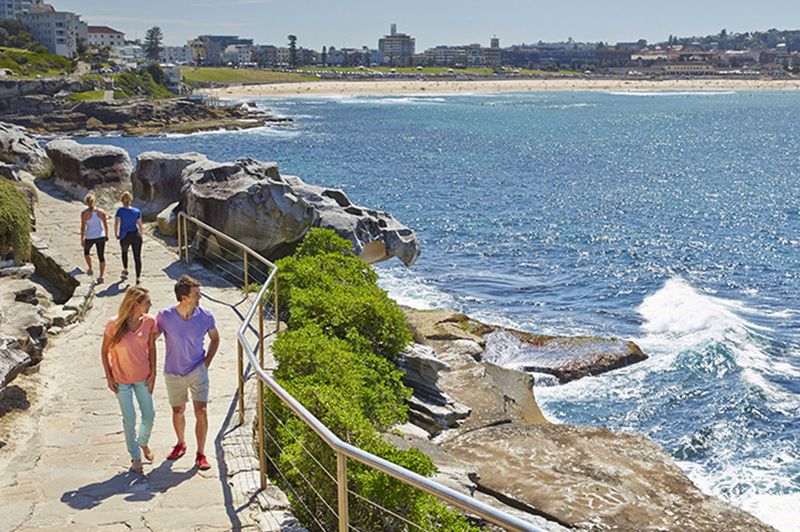 Itinerary: Welcome to Sydney, one of the most vibrant and panoramic cities in the world. 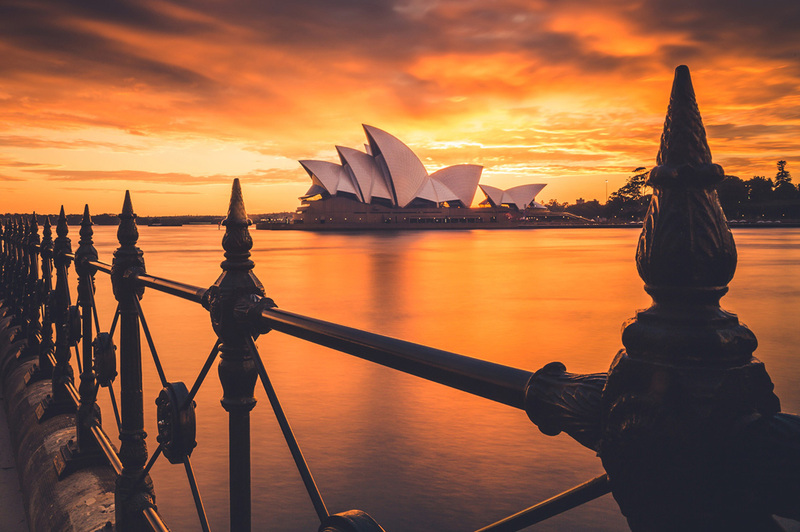 For your first day in Sydney let one of Australia’s leading tour companies Australian Wild Escapes show you the best the city has to offer. Your tour today will start in your hotel lobby where your friendly guide will meet you before showing you through the historic Rocks precinct. Witness the birth place of Sydney and explore the convict built cottages, pubs and the first church in Australia. Heading east, we make our way to the stunning Botanical Gardens situated right in the heart of Sydney. En route we pass through Macquarie Street named after the fifth Governor of New South Wales, Lachlan Macquarie. Here you will see Australia’s first Parliament House, Mint, Hyde Park Barracks and St Mary’s Cathedral. 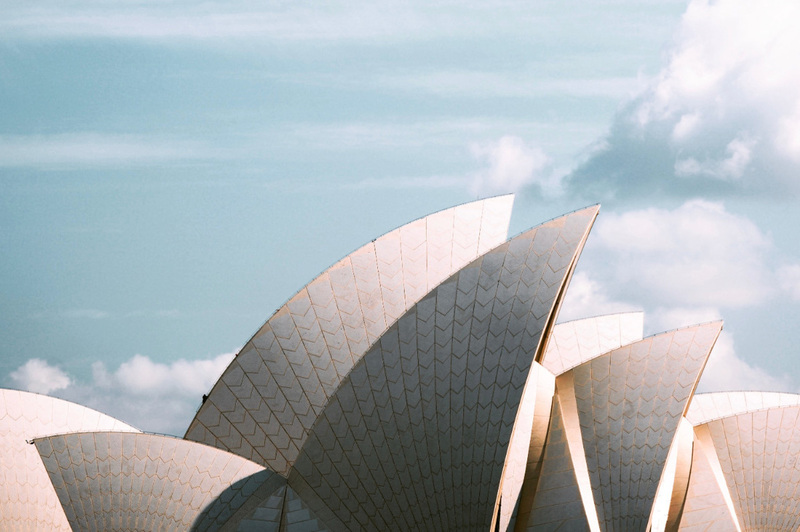 The tour continues onto Mrs Macquarie’s Chair situated on the water’s edge, here you will enjoy a walking tour of the harbour’s edge with magnificent views of the Sydney Harbour Bridge and the Sydney Opera House before rejoining your vehicle. We then continue through Woolloomooloo, Kings Cross and into Rushcutters Bay. It’s here we stop to enjoy a lunch at the Cruising Yacht Club of Australia, Australia’s premier yacht club and home to what is considered yachting’s ‘Everest’ – the Rolex Sydney Hobart Yacht Race. We continue on through Darling Point, one of Sydney’s most affluent suburbs and see some of Sydney’s most sought after addresses. Pass by Double Bay, Rose Bay, Vaucluse and Watsons Bay, before traversing along the coastline to Sydney’s most famous beach, Bondi Beach. Here you will have some time to soak up the atmosphere of this beachside Mecca. Stroll down the esplanade with the locals and maybe enjoy an ice cream before re-boarding your vehicle. We our way back to Sydney via the vibrant Oxford Street and the suburb of Paddington; admire this boutique shopping precinct and the charming Georgian and Victorian architecture of the homes. Arriving back at your hotel you will have enjoyed a great day out seeing some of Sydney’s best kept secrets and having taken some fantastic photos. Welcome and enjoy your stay. 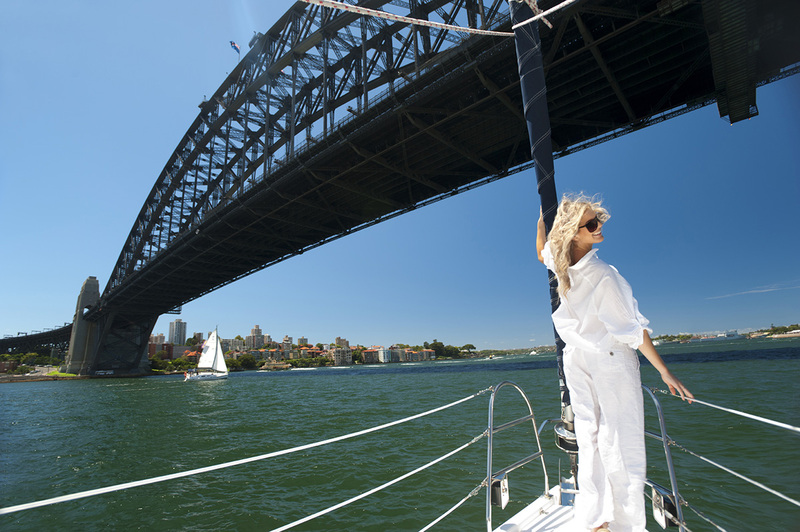 Inclusions: Hotel pick up and drop off, highly qualified and knowledgeable guide, travel in luxury air – conditioned vehicles, refreshments, restaurant lunch, afternoon Sydney harbour sailing and comprehensive commentary. 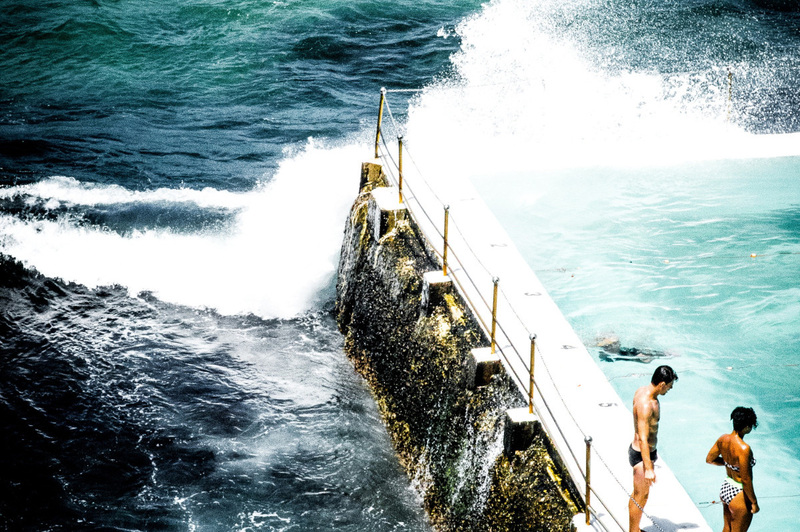 Itinerary: This unique day is the ultimate way to experience the beauty of Sydney. Your experienced guide greets you at your city hotel for a drive around the historic Rocks precinct, visiting the first church in Australia, the Observatory and the convict built cottages, continuing around Circular Quay, the Opera House and into the magnificent Botanical Gardens. Here we take a short walk to view Mrs Macquarie’s chair and excellent harbour views to the Harbour Bridge and Opera House. Continue through Woolloomooloo, Kings Cross and into Rushcutters bay. It’s here we stop to enjoy a lunch at the Cruising Yacht Club of Australia, Australia’s premier yacht club and home to what is considered yachting’s ‘Everest’ – the Rolex Sydney Hobart Yacht Race. We return to the city, via Oxford Street Paddington, arriving at Darling Harbour where your yacht awaits for a cruise around Sydney Harbour with a delicious afternoon tea. After an incredible 2 hours on the world’s most beautiful harbour, your vessel returns to Darling Harbour. Here you may decide to eat out at any one of the dozen or more restaurants, stay and enjoy the entertainment, returning to your hotel at your leisure. Inclusions: Highly qualified and knowledgeable guide, travel in luxury air-conditioned vehicles, Featherdale Wildlife Park entry, morning tea and coffee, restaurant lunch featuring local cuisine and wines, National Park entries, city hotel pick up and drop off, comprehensive commentary. Itinerary: Departing the city this morning your personalised guide will start the day by showing you the historical Rocks precinct. The birth place of Australia has a fascinating past and you will see convict built cottages, Australia’s first church and remnants of how Australia was shaped as a nation. We then travel North across the Sydney Harbour Bridge and Australia’s shortest freeway. Continuing west now our first stop is at Featherdale Wildlife Park, home to Australia’s favourite marsupials. Arriving early we beat the crowds and allow you to get up close and personal with Kangaroos, Koalas, Wallabies and Wombats. You will love these amazing animals. Reboarding the vehicle we continue west towards the Blue Mountains National Park. We enter a little known hidden clearing to enjoy some home style morning tea. You will have time to roam the area and seek out the wild kangaroos and birdlife that frequents this part of the National Park. Our next stop is Kings Tableland. This breathtaking view looks out over the Jamison Valley. 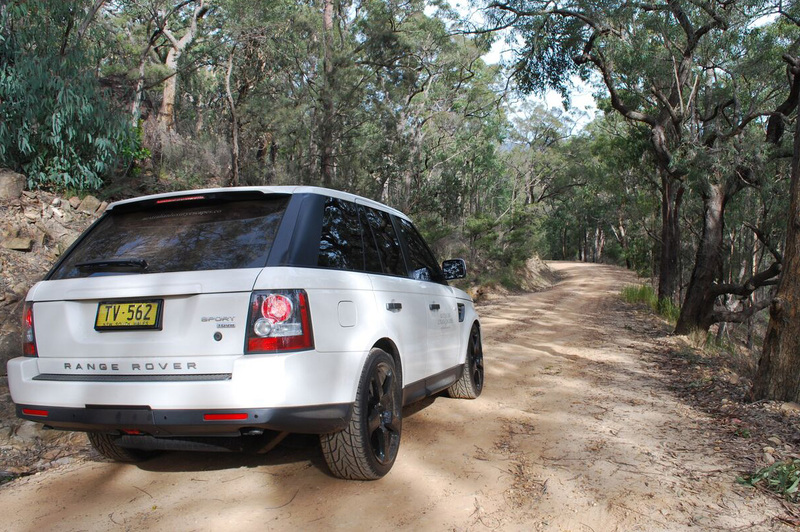 You will see firsthand the ruggedness and beauty that the Blue Mountains are famous for. Lunch today is at a local café in the heart of the Blue Mountains. After lunch we head to Wentworth Falls. Here you will be guided down a well worn path towards the falls and stunning views. 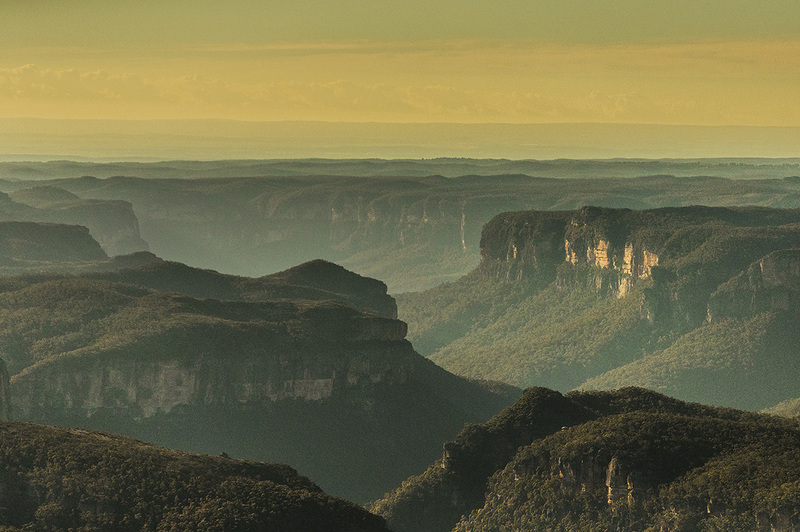 Experience the local flora and fauna up close as your guide informs you of the incredible geology of the Blue Mountains and how they were formed. Next we reboard the vehicle and skirt around cliff drive towards the township of Katoomba. At Eagle Hawk lookout you will see the famous 3 sisters Rock formation and marvel at the stunning views of the Jamieson Valley. From here we continue around Narrowneck Plateau for more incredible vantage points. Reboarding your vehicle we continue east towards Sydney. Sit back and relax on board your comfortable vehicle for the interesting drive back through Sydney’s western suburbs and across ANZAC Bridge before finally arriving back in the city around 5.00pm. Departing: Cairns, Holloway Beach, Trinity Beach, Kewarra Beach, Seachange Trinity, Palm Cove, Angsana, Thala Beach, Port Douglas, Sea Temple Port Douglas, Silky Oaks Mossman, Daintree Eco Lodge. Inclusions: Highly qualified and knowledgeable guide, travel in luxury air-conditioned vehicles, refreshments & lunch, Daintree River cruise, hotel pick up and drop off, comprehensive commentary. Itinerary: Departing your accommodation we travel through the rich farming areas toward the World Heritage listed forest region of the Daintree National Park. We step aboard our own personalised craft for a cruise on the mirrored smooth waters of the Daintree River. We cruise close to riverbanks and under the overhead canopy of the rainforest seeking out the vivid Ulysses Butterfly, Kingfishers, Pythons and other wildlife. The cruise takes us through silent backwaters where crocodiles can normally be seen basking on the muddy banks. Arriving on the northern side of the river we enter the Daintree section of the Wet Tropics World Heritage protected rainforest. Enjoy a home-made morning tea underneath the rainforest canopy. Next, our journey takes us up the beautiful Alexandra Range passing through local rainforest and on to our first stop, where we take a scenic walk through this amazing eco system. 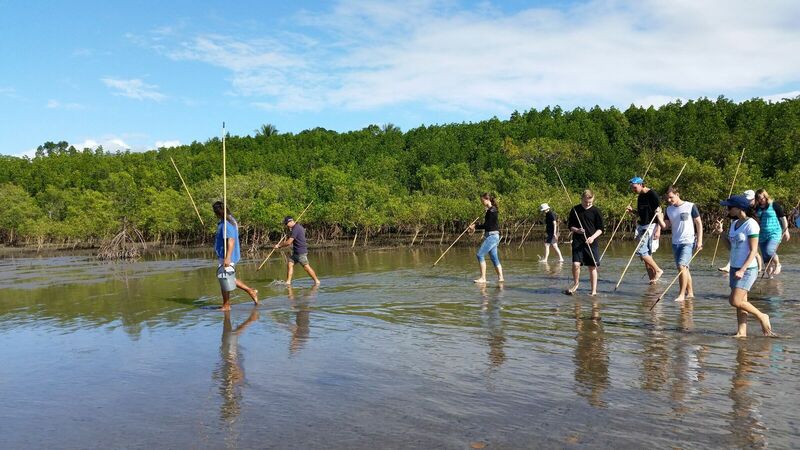 Immerse yourself inside protected forests as we take you on a guided walk to view ancient plants and amazing wildlife. 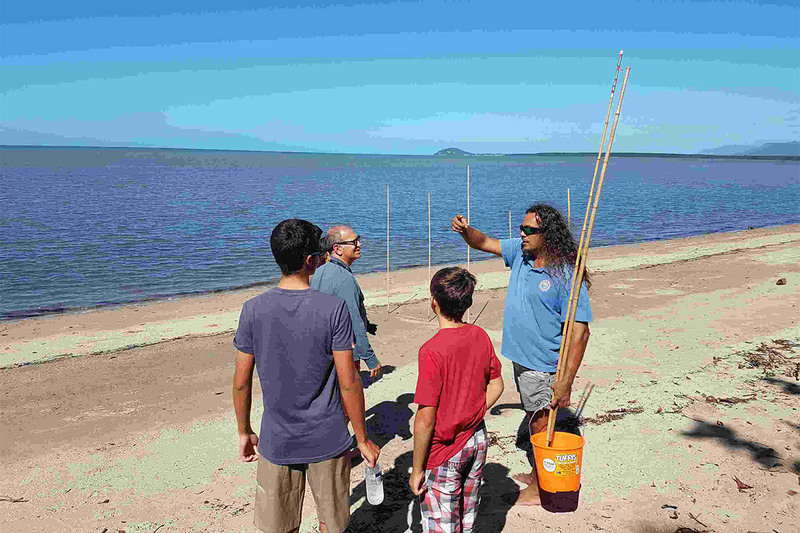 Today you will learn from your Tour Guide some insight into the local aboriginal culture of the area. 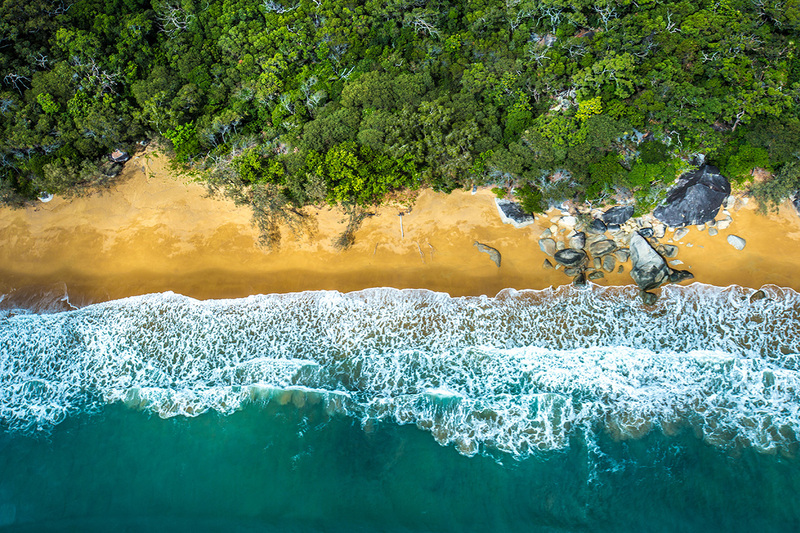 The Wet Tropics is one of the richest sites for biodiversity on earth and the Daintree is a place of spectacular beauty, rugged mountains, deep gorges and flowing rivers. 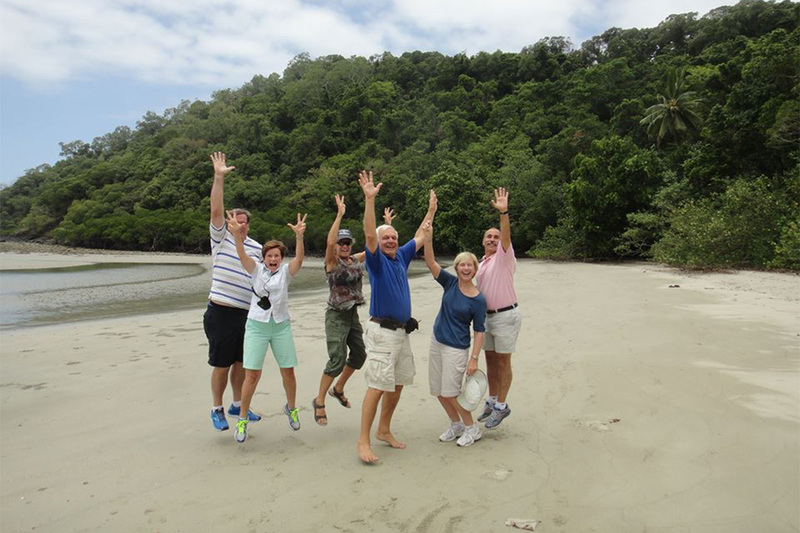 Continuing along our next stop is at one of magical beaches that adorn the coastline of Cape Tribulation; here our guides will highlight the amazing wildlife and ecosystems unique to this part of the world. Many who have travelled remark how they feel like Robinson Crusoe. Lunch today is a delicious meal which includes rainforest-inspired local produce. This is a unique opportunity to enjoy quality food, whilst bathed in the serenity of the tropical rainforests. You will also have the opportunity to get up close and personal with reptiles, frogs and lizards endemic to the area. If the cute and cuddly animals are more to your liking, then you will have the opportunity to feed the kangaroos and swamp wallabies in your own private zoo. After lunch we get to see unusual, exotic fruit originating from all over the globe’s tropical regions. Along with the fruit trees, the orchard is also a host to beautiful species of tropical flowering plants, both native and introduced. The sole purpose for the fruit grown at here is to make pure, fresh, ice cream and sorbet which is made on the property and sold nowhere else on the globe. For all those ice cream lovers, this is your chance to add to your list of flavours (optional extra). Our last stop and final lasting impression will be at the outstanding panoramic picture postcard view at Alexandra Range Lookout. From here you’ll have a spectacular view of the mouth of the Daintree River, Snapper Island and on a clear day Port Douglas.